Students and schools from the Bright Futures Educational Trust (BFET) recently attended the Youth Sport Trust (YST) Annual Conference in Coventry – and were shortlisted for and presented with a number of top accolades, having invested heavily in physical and mental health and wellbeing over the past few years. 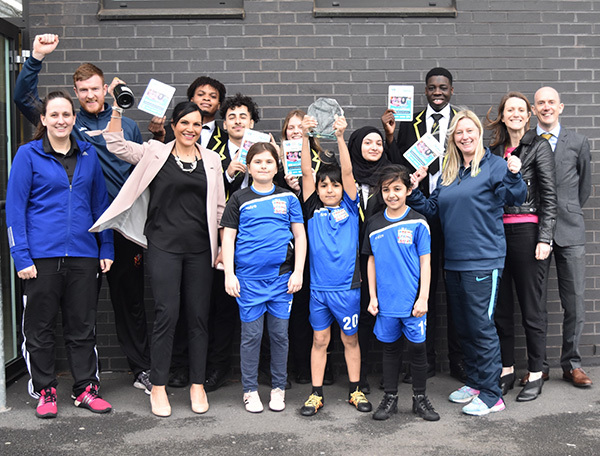 Stanley Grove Primary Academy in Longsight, Manchester won the Outstanding Primary School PE Award, while Cedar Mount Academy in Gorton, Manchester was presented with the Highly Commended Award in the Outstanding Secondary Schools’ PE category. Another trust Secondary, Altrincham Grammar School for Girls, was also shortlisted for its Outstanding PE and Sport offering. Lisa Fathers, Director of Teaching School & Partnerships at BFET, was given the high profile award of ‘Innovation Partner’, recognising the breadth of her partnership work and impact of the Greater Manchester Mentally Healthy Schools Programme, which she helps drive. Finally, Cedar Mount Academy student Ashkan Muradi was shortlisted for the Young People Award, thanks to his continued commitment to promoting physical and mental health and wellbeing amongst his peers. BFET’s academies became Youth Sport Trust Members in November 2015 and these awards mean that more than half the trust’s schools have been recognised in some way for their positive contribution to PE and sport as part of an overall physical and mental health programme. Dr John Stephens, CEO of Bright Futures, adds: “YST schools have to demonstrate how they have transformed PE, wellbeing, life chances and culture to maximise the potential of physical education to improve the wellbeing and achievement of all students.